You are here: Home / Hair Talk Blog / Celeb Corner / How Scandalous can Kerry Washington be? Kerry Washington in her iconic role as Olivia Pope on the hit TV show Scandal has been mesmerizing us with the variety of ways she wears her hair on and off the screen for some time, and we just can’t get enough of her. 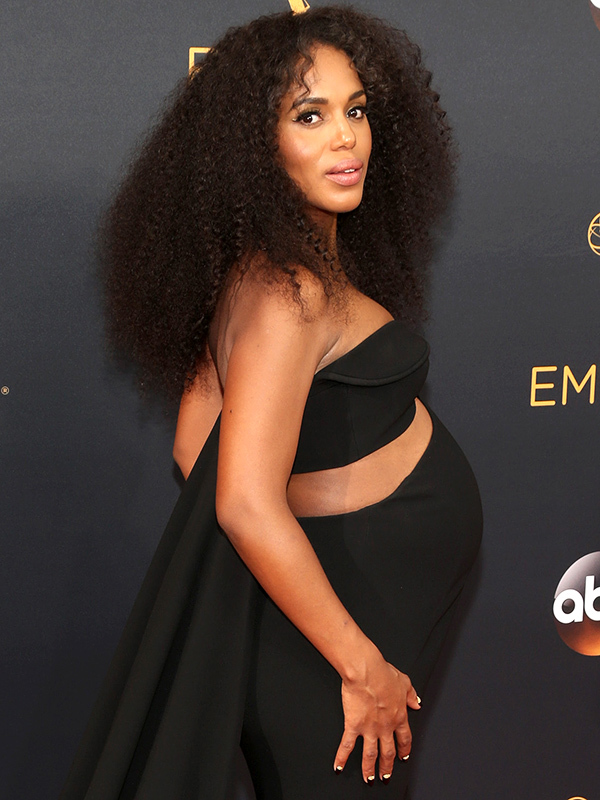 Months into her pregnancy, Kerry let her luscious lioness-like mane beautifully complement her bodacious body at the 2016 Emmy’s. The soft spiralling curls that cascade throughout her ‘let it all hang out’ styled hair softens the frame of her face. 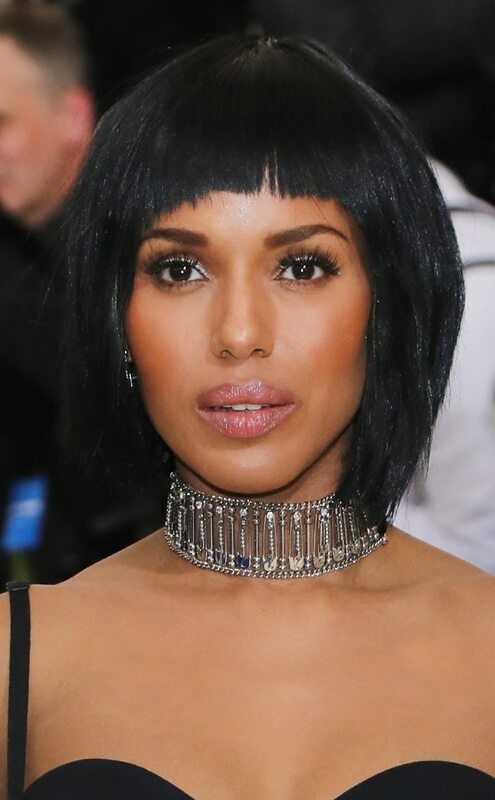 Kerry’s take on this darling hair bob, is reminiscent of an Egyptian queen. The jagged bangs and and uneven cut perfectly frame her face and gently kiss her bedazzled choker. Just when you expect to see Kerry boasting another ‘oh so ridiculously gorgeous’ hair do, she steps out on the red carpet with this Silky, Straight and Sweet blow out. This simple ‘do’ with a part in the middle is placed delicately behind her shoulders so as not to compete with her off the shoulder dress, and perhaps to show off her flawless skin. What’s your favorite Kerry Washington hair style? We’d love to know, so share your favorites in the comments section below.